The game crashes on first loading screen within 10 secs with dx12 enabled. Does anyone else have this issue? Always issues with DX12. I suggest running DX11. I think you need Win 10 build 1809 to work with DX12. I have 1803 with DX12 ffr off, runs fine. But you could be right. If it isn't working now then it might with 1809. On the other hand, it's working fine for me now, but what will happen if i finally get 1809 through auto-update? I have updated to the latest cumulative update (Jan 22) for Windows 10 and to my surprise the dx12 is WORKING The game is buttery smooth now..just amazing performance. Actually, what happened is that the cumulative update has reverted some nvidia settings among which was "optimize for compute performance = on". It turned out that having this setting on was causing my dx12 to crash. When it is set to off, dx12 works perfect. I hope this helps those who are having the same problem. Hm, that could explain why it suddenly runs great on dx12. Because it was a couple days after January patch that I tried dx12 to see if it still ran bad. I thought it was because of patch, but this sounds more likely. DX12 runs great except there are some sudden halts every now a then, few in a game round. Those lasts only a fraction of a second but usually happens when there is a lot of action, explosion etc. It shows in Afterburner hardware monitor as a small dip spike in frame rate. No such problem when using DX11. DX12 is fine, just turn OFF ray tracing and you will see DX12 going smooth and even faster than DX11. Besides DLSS is coming so you need thar DX12 anyway. I had exact the same problems but DX12 is perfectly fine, just turn OFF ray tracing and stutter will be gone and even hogher FPS specially after DLSS lunch wich be aviable only under DX12 I guess. I might be wrong, but thats what happened to me. DX12 refused to work until I got updated to 1809. Hi. Were i can find this setting? nVidia Control panel i didn't found it. I have same issue - after last BFV patch (it was 08.02.2019 or 07.02.2019 not sure anymore) started crashing to Desktop without error. 1 second after loading game it freezes and crashes. I can not change settings at least. Windows up to date, nvidia drivers up to date, cleaned cash and temp, game repaired. 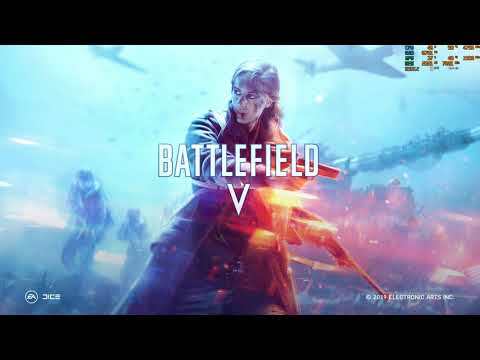 Before BFV patch worked fine. P.s. I tried also without overclocking. Same Issue. I hope somebody knows how to fix. Were i can find this setting? nVidia Control panel i didn't found it. Go to Nvidia -> Manage 3d Settings -> Program Settings -> Select BFV -> Find "Optimize for Compute Performance" -> Set it to "Off"
I dont know why, but i cannot find this setting, Maby latest nVidia driver: 418.18 dont have this setting or its called something else? St, st, st, st, st, st, stu, stut, stutt, stutt, strutt, stutt, stutte, stutte, stutters on DX12. DX11 with FFR on seems much smoother despite some input lag. DX12 on BF1 was the same too. Win 10 x64 1809, GTX 1060 here. no stutters, what cpu and in game levels?